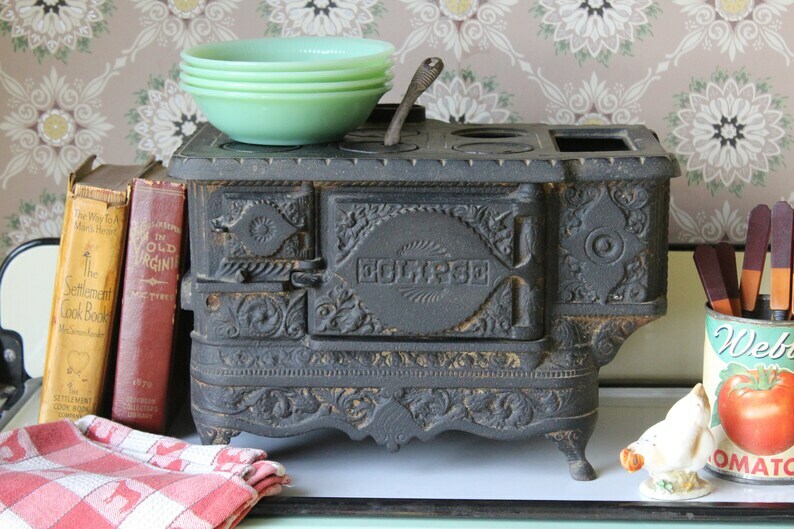 This antique black cast iron toy stove is an Eclipse made by J & E Stevens sometime in the late 1800s. The stove has 6 burners and a reservoir on top. It comes with 4 burner lids or stovetop plates and a lifter. There are two doors on the front. There is a shaker shelf inside. The stove is embossed on all sides in a decorative floral pattern plus the name Eclipse on the large front door. Antiques Roadshow calls this stove a salesman's sample but it was advertised in the Montgomery Ward catalog as "one of the handsomest toy ranges on the market." This replica cast iron cookstove would look great in a Victorian farmhouse kitchen, Americana or primitive décor, or in a cabin. 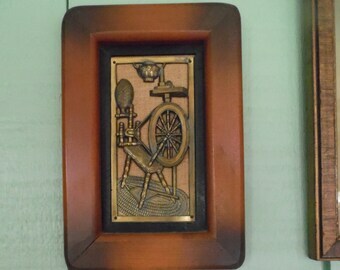 It is in good antique condition. It is missing pieces including the chimney, side shelves, damper, two burner lids, and reservoir lid. There is brown discoloration in the relief. Please use your zoom for a good look.